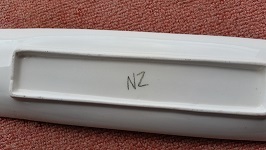 This is a familiar style but "NZ" isn't a very useful mark. Who is it? My sister bought this wee plate because she loves it. Gahhhhhh my brain won't work right now!! This potter is from Nelson I think but I can't find his name. Jeremy has a mug with a moon on it and I'm sure it was done by the same potter .. If I could only find the thread about it ! Correction: I just corrected the title. I keep getting it wrong but this latest incarnation comes from Barrie's website. Brilliant. I will pass this on to my sis. 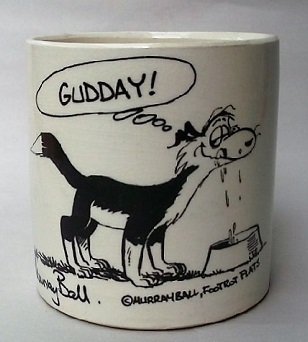 I picked up a mug last month (23/9/16) which must be a Barrie Paine. 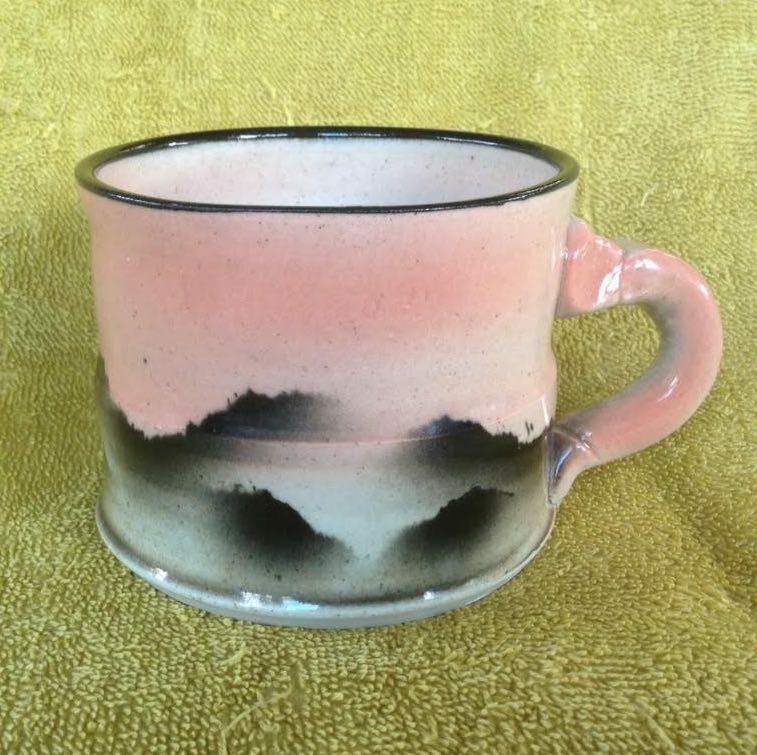 White stoneware, short, wide (perhaps a soup cup), pink and greys, push-on handle. It has the Mists over Westland all the way around, but no moon! No maker's mark. The mug has an obvious chip and also a couple of pinhead glaze-misses. For the sake of presentability I have tidied up the image. Any remaining marks are reflections. Tall cast mug. 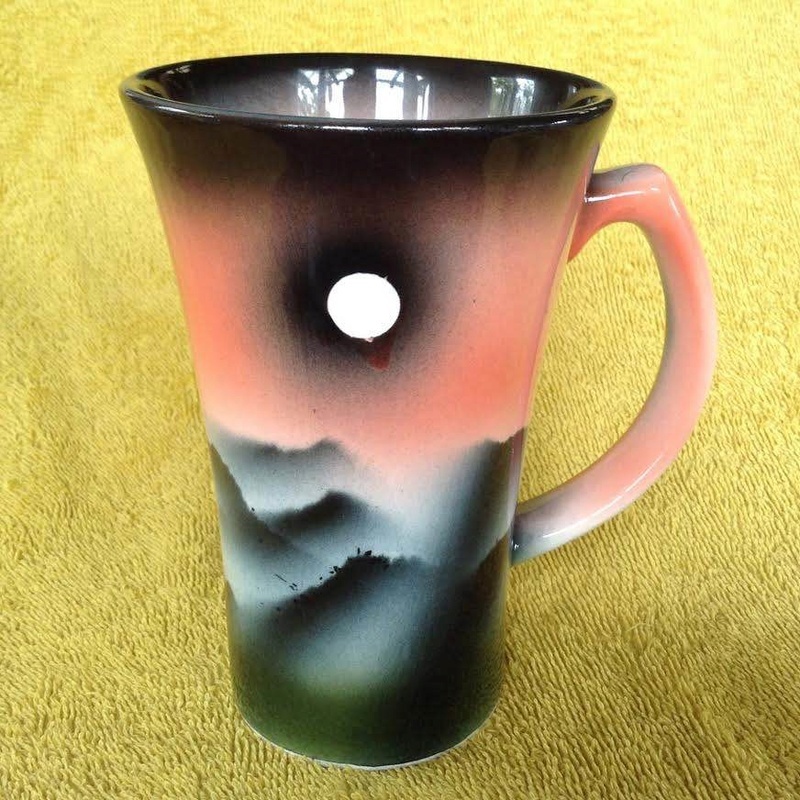 This is a pink version of Barrie Paine's "Mists over Westland" design. Easily recognised as Barrie's work now. Unlike my earlier find, previous post, this one has the moon.